At Propeller we care deeply about our kids…and their success is our top priority. 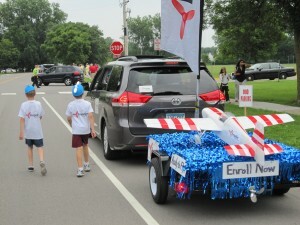 We were reminded of this yesterday when we appeared in the Blaine Blazin’ 4th Parade. Check out our happy lineup of Propeller Kids that had an awesome time together sharing joy with many people along the parade route.